Political offices in Nigeria has in recent times become exclusively reserved for the highest bidder, which most likely than not falls into the hands of individuals who are desperate to collect their own share of what is termed the “National cake”, causing the nation to further plunge into poverty and under development. In light of recent developments emerging from the tussle and internal party affairs of the Peoples Democratic Party in Ogun State, Oladipupo Olatunde Adebutu may have become the highest bidder for the governorship ticket in the state and therefore seen by the coalition of corrupt elites as qualified to become governor of the state. This is as information made available to SecretReporters reveal that Adebutu is allegedly paying through his nose for the governorship ticket which he bought from the winner of the primary elections Burunji Kashamu, for an alleged whooping sum of N3, 000,000,000 (Three billion Naira). It was gathered that the Bayo Dayo faction of the party in the state which was the faction recognized by the Independent National Electoral Commission (INEC) to submit names for all executive positions in the state, produced Burunji Kashamu as the party`s flag bearer for the state. However, the specious Adebutu in what seems like a move to be governor “by fire by force” ran from one leader of the party to the other and through the help of his father convinced Kashamu to cede the governorship ticket to him. This according to sources led to the announcement that the latter ceded the ticket to Adebutu with cunning statements to sway the electorates into believing that it was for the interest of the people. SecretReporters learnt through a reliable source that the ceding of the ticket was not in any way for the interest of the people as Kashamu who is a well-known spendthrift allegedly demanded a whooping N11, 000, 000, 000 (Eleven billion Naira) for the ticket. Insider sources revealed that a negotiation which is synonymous to that which occurs between a Garri seller and buyer ensued, in which after many pleas the ticket bribe was cut down to N6, 000, 000, 000 (Six billion Naira). But for the intervention of certain godfathers, Kashamu docked at a mouthwatering sum of N3, 000, 000, 000 (Three billion Naira). Furthermore, this online news medium gathered that N1, 500, 000, 000, 000 (One billion, Five hundred million Naira) has already been deposited to Sen. Kashamu and another N1, 000, 000, 000 (One billion Naira) is to be paid immediately after the February 16th presidential elections while the balance of N500, 000, 000 (Five hundred million Naira) is slated to be paid after the governorship elections. 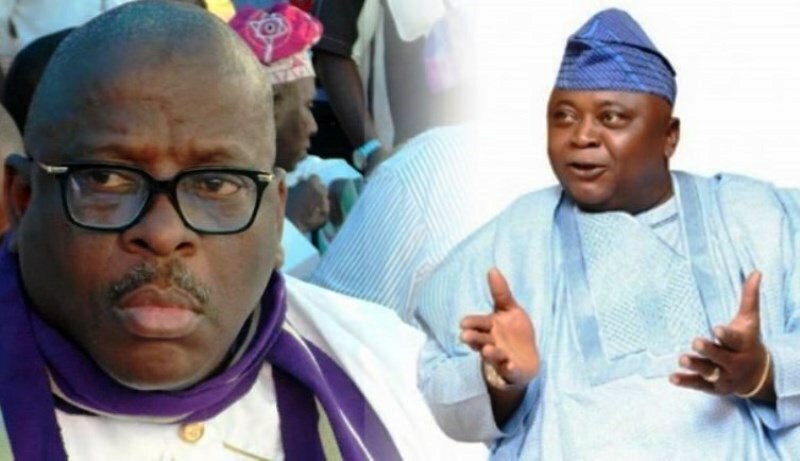 This arrangement according to sources is the reason for the recent peace talks by Kashamu calling on his leaders, elders and supporters from his camp to ignore the case in court and work together with the Ladi group to ensure PDP’s victory in the governorship polls slated for March 2nd 2019.